Home » Rehab Science Blog » Physiotherapy » Osteoarthritis » Does running cause knee osteoarthritis? Or protect against it? The latest evidence suggests that recreational runners concerned about the long term effects of running on knee osteoarthritis can probably rest easy. New research says that regular running likely does not increase the risk of developing osteoarthritis in the knee, and that it may even protect against it (ref1, ref2). But before you lace up, there are important caveats to this conclusion, and definitive evidence is still lacking. 1 What is knee osteoarthritis and how is it treated? 3 Should running be included as a risk factor for osteoarthritis? Or does it prevent it? 4 So should I worry about running-induced knee osteoarthritis? What is knee osteoarthritis and how is it treated? Osteoarthritis is a progressive joint disease that occurs when damaged joint tissues are unable to repair themselves normally, which can lead to breakdown in the bone and cartilage (ref3). These changes can lead to fluid accumulation, bony overgrowth, and weakness of muscles and tendons surrounding the affected joint, all of which may limit movement and cause pain and swelling. Osteoarthritis is the most common form of arthritis in Canada, with an estimated 13% of Canadians being affected. This translates to a significant impact on long-term disability, participation in leisure activities and in the Canadian labour force (ref4). Click here to read our patient guide to knee osteoarthritis and its treatment. While physiotherapy interventions including exercise therapy can be used to effectively treat knee osteoarthritis in many cases (ref5), treatment can be particularly challenging for runners and other recreational athletes who regularly place high demands on their knees. In such cases, receiving the guidance of a physiotherapist with Sports Physiotherapy expertise may be helpful. Your physician may also recommend pain relief through use of pain killers, glucosamine and chondroitin supplements, or intra-articular steroid injections (although new research shows the effectiveness of steroid injection to be either small or non-existent (ref6)). There are several factors that are known to increase the risk of knee osteoarthritis, including: family history, history of traumatic injury to the joint, having a higher body mass index (BMI) and increased age. It is worth noting that while osteoarthritis is more common in an older population, it is not considered to be a part of normal aging (ref3). Should running be included as a risk factor for osteoarthritis? Or does it prevent it? The chronic mechanical overloading of the knee that occurs with running, along with an increased risk of traumatic knee injury in runners (which can contribute to osteoarthritis), has led to some debate as to whether or not running should be added to the list of risk factors for osteoarthritis. Conversely, runners have on average a lower BMI in comparison to non-runners, which is known to be a protective factor against osteoarthritis (ref2). Runners also have improved leg muscle strength which is likely to be protective against osteoarthritis. But do the anti-osteoarthritis benefits of running outweigh the risks? Previous research has connected running to the development of knee osteoarthritis in elite long-distance male runners (ref7). But researchers were unsure if these findings could tell us anything about the risk of knee osteoarthritis in the general population of recreational runners. To answer this question, another study examined a group of nearly 2,700 participants who had no previous symptoms of osteoarthritis. Participants were assessed for indications of osteoarthritis over 8 years using x-rays, symptom assessments, and surveys on lifetime physical activity participation. Participants who reported running as one of the top three activities that they participated in were grouped as runners, while those who did not were considered to be non-runners. The results of this study suggested that runners, independent of the age at which they ran, had a lower prevalence of knee pain and x-ray evidence of osteoarthritis when compared to non-runners (ref2). 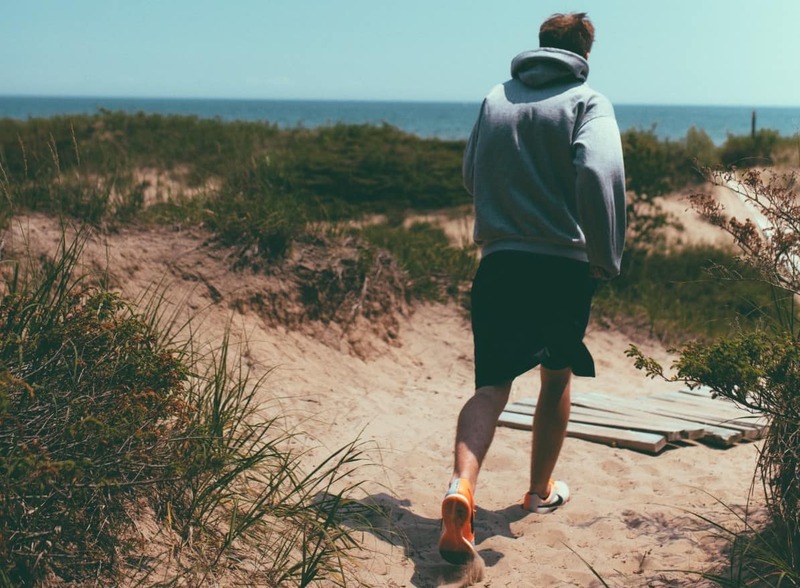 The authors concluded that regular running at any stage of life does not increase the risk of developing knee osteoarthritis and may actually protect against it. The authors hypothesized that the lower BMI of runners may be the primary factor contributing to the apparent protective effect against osteoarthritis. These results are supported, at least in part, by a number of additional studies that have found no relationship between recreational running and the development of osteoarthritis (ref1). So should I worry about running-induced knee osteoarthritis? Probably not, unless you are an elite long-distance runner who places exceptional demands on your knees. But there are a couple of important additional caveats as well: the positive (or at least neutral) results of the current studies do not necessarily apply to individuals with pre-existing osteoarthritis. Regular running in these people may actually do harm to their knees. Nor can it be concluded that running is safe for the knees of non-runners with high BMI that wish to take up regular running – this would probably be individual-specific, and training-program dependent. But for those recreational runners among us that don’t suffer from osteoarthritis, we can feel comfortable continuing to lace up and log miles knowing that we are certainly benefitting our health, and possibly also our knees. Leech R.D., Edwards K.L, Batt M.E. Does running protect against knee osteoarthritis? Or promote it? Assessing the current evidence. Br J Sports Med. 2015 Nov;49(21):1355-6. Lo G.H, Driban J.B., Kriska A., et al. Habitual Running At Any Time in Life is Not Detrimental and May be Protective of Symptomatic Knee Osteoarthritis: Data from the Osteoarthritis Initiative [Abstract]. Arthritis Rheumatol. 2014;66:1265-6. Abstract No. 2895. Lane N.E., Brandt K., Hawker G., et al. OARSI-FDA initiative: defining the disease state of osteoarthritis. Osteoarthritis Cartilage. 2011 May 19(5):478–82. Lawrence R.C., Helmick C.G., Arnett F.C., et al. Estimates of the prevalence of arthritis and selected musculoskeletal disorders in the United States. Arthritis and Rheumatism. 1998; 41:778–99. Fransen M., Crosbie J., Edmonds J. Physical therapy is effective for patients with osteoarthritis of the knee: a randomized controlled clinical trial. J Rheumatol. 2001;28:156–164. Juni P., Hari R., Rutjes A.W., et al. Intra-articular corticosteroid for knee osteoarthritis. Chchrane Database Syst Rev. 2015 Oct22;10.